RPMC Lasers offers a wide selection of Pulsed Lasers, including Diode Pumped Solid State (DPSS) Lasers, Flashlamp Lasers, Fiber Lasers, and Microlasers/Microchip Lasers. Mil-Spec and custom lasers are also available. Available in Nanosecond, Picosecond, and Femtosecond laser pulse widths and many wavelengths from UV to IR. Laser average output powers from mWs to 100W, pulse energies from nanojoules to 100’s of joules. Applications include Material Processing, LIDAR, Micromachining, and many others. Use the filters along the left side to narrow the number of lasers to your requirements. More details on the filters at the bottom of the page. If you have any questions about these pulsed lasers, please contact us. OT-25 (002/004): Er: Glass Laser Transmitters with Diode pumping. 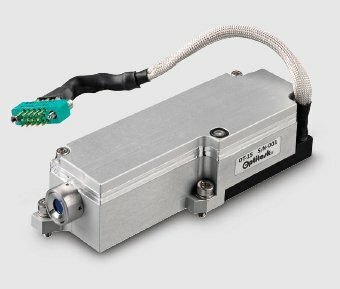 OT-16: Er: Glass Laser Transmitters with Flash Lamp pumping. 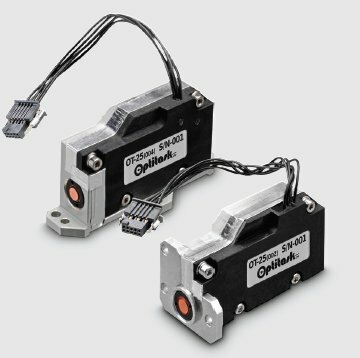 OT-15: Er: Glass Laser Transmitters with Diode pumping. Type – This filter will define the laser construction. DPSS Lasers are diode-pumped solid-state lasers use for a wide variety of applications. Flashlamp Lasers use a flash lamp as the pump source of the YAG Crystal. Fiber Lasers use an optical fiber as the gain medium. Microchip Lasers or Micro Lasers are compact passively q-switch lasers. Mil-Spec Lasers are designed for rugged environments seen in military and some aerospace applications. Ultrafast lasers have a pulse width <10 picoseconds. Custom Lasers are needed in many applications. Wavelength Selection – If an exact wavelength is not needed, this filter groups the lasers by color, UV, Blue, Green, and IR options are available. Pulse Width Selection – This filter will show just the lasers in the selected pulse widths. Femtosecond Lasers are often used for micromachining and optogenetics applications. Picosecond Lasers are used for micromachining applications. Nanosecond Lasers are used for many applications including marking. Millisecond Lasers are a long-pulsed Nd: YAG laser for hair removal. Power Selection – This filter will select the lasers with the average output power you select. Energy Selection – This filter defines the pulse energy. Q-Switch Type – Select either a passive or active Q-Switch. Active Q-Switch Lasers allow the precise control of both the pulse width and repetition rate of the laser. 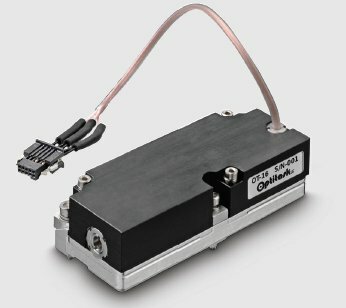 Passive Q-Switch Lasers contain a Saturable Absorber that when continuously pumped produces a regular pulse train. Passive Q-Switch lasers cannot usually precisely control the pulse externally. Wavelength – Select the exact wavelength or wavelengths needed. Manufacturer – If you are needing a laser from a specific manufacturer, this filter will narrow your search. Application – If you need a laser for a specific application, this filter maybe a good start. Many lasers are used in different applications and although we try to get all lasers that may be used for an application, this is very difficult to do. If the specifications needed are known, some of the other filters more focused on the specifications may get better results.